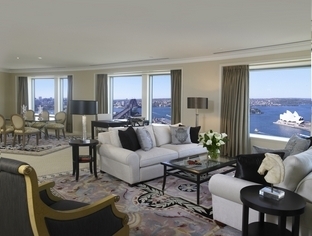 With stunning views of Sydney's spectacular Harbour from 563 spacious rooms and suites, the newly refurbished Shangri-La Hotel, Sydney brings welcoming Shangri-La hospitality and luxury to the historic Rocks district in the heart of this dynamic city. 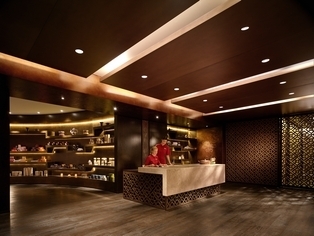 Priding itself on the philosophy of Shangri-La hospitality from caring people, the Hotel is ideal for guests who seek an extra level of personalised service, style and comfort. 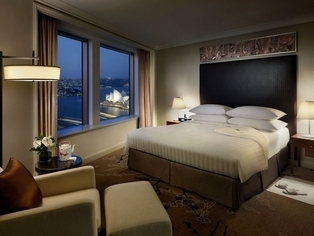 The newly refurbished guest rooms located on levels 4 - 29 offer iHome docks, Bluetooth media hubs, custom designed furniture and purpose-built window seating to take in the panoramic views. 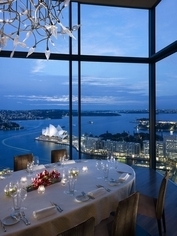 Shangri-La Hotel, Sydney also offers the citys finest dining, including the award-winning Altitude Restaurant and Blu Bar on 36, each offering its own spectacular views of the city from level 36. 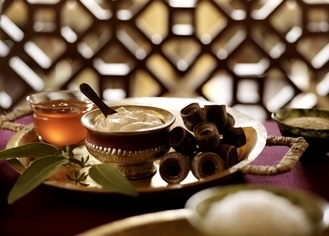 When its time to relax and revitalise, CHI, The Spa at Shangri-La is a place of personal peace and wellbeing. 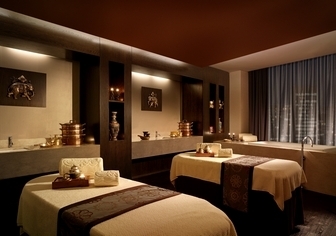 Offering superb treatments and therapies, CHI is an oasis to rejuvenate. As a reflection of our commitment to continuously provide outstanding facilities to all our guests, we are happy to announce the refurbishment of our Horizon Club Rooms and Lounge from 1st August 2014 to late October 2014. These refurbished rooms and lounge will offer new enhancements and innovative features designed to enrich the guest experience. 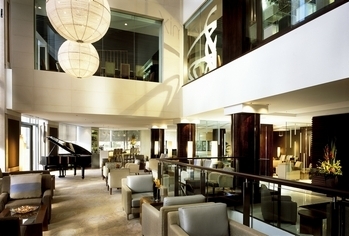 The Hotel will also conduct a soft refurbishment to the Lobby and entrance area from late July to mid-September which will entail a light upgrade of the current facilities and furnishings. 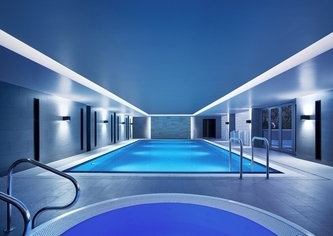 All measures will be taken to minimise disruption to our guests, with all renovation works confined to the lobby and levels 30-35 of the hotel and restricted to normal business hours. 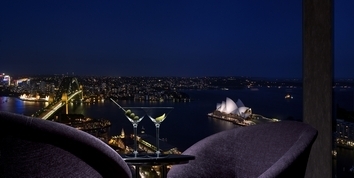 During this time, the rest of the hotel including Café Mix, Altitude Restaurant and Blu Bar on level 36 will remain operational and accessible to all guests. The hotel will continue to operate as usual with uninterrupted services and every effort will be made to reduce the impact of this programme for guests and visitors. 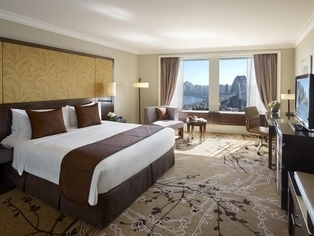 Please contact slsn@shangri-la.com for any further information. 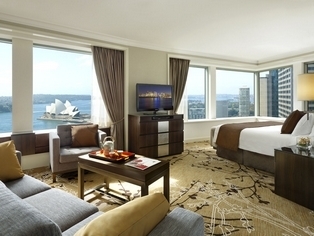 Breathtaking views of Darling Harbour and points beyond add to the exceptional comforts offered in this room, making for a productive and peaceful stay. 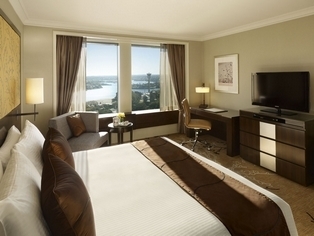 Deluxe Darling Harbour View Rooms offer full-size windows with views of Darling Harbour, Walsh Bay, Parramatta River and west to the Blue Mountains. 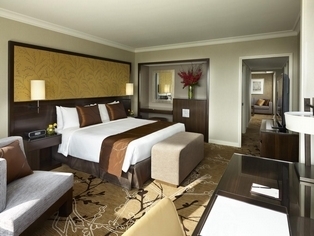 Twin rooms are subject to availability at check-in. 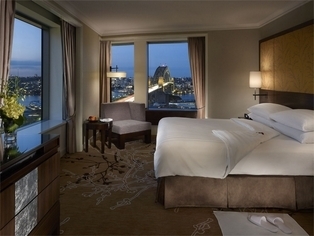 With the comfort and amenities of Deluxe Rooms, plus exclusive Horizon Club privileges, these rooms are an excellent choice for the traveller who requires added personalised attention and services. 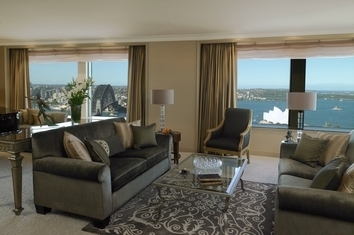 Located on floors 30-35, Deluxe Opera House View Rooms offer full-size windows with views of one of the worlds most famous structures, along with views of the Circular Quay and ships making their way through the Harbour entrance.King rooms are sbject to availability at check-in. 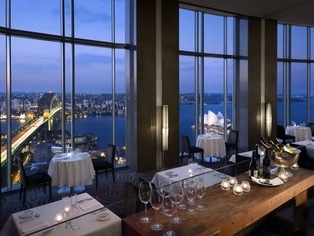 The business centre of the Shangri-la Hotel, Sydney is located on the ground floor. 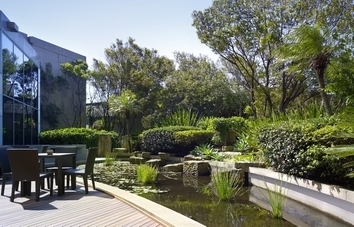 It offers computer workstations with complimentary broadband Internet access. Photocopying, faxing, scanning, and audiovisual hire are offered. Laptops and mobile phones may also be rented. Check-In Check in is at 3 pm. 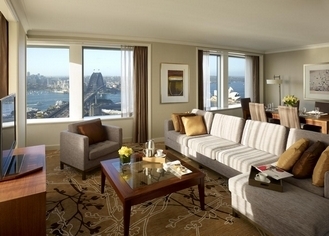 Reservations will be held until 4 pm on day of arrival (Sydney time) unless guaranteed by a credit card or deposit. 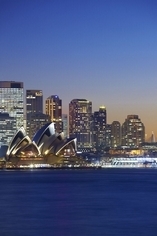 Guaranteed reservations cancelled less than 24 hours prior to 4 pm on day of arrival (Sydney time) will be subject to a one-night charge. Check-Out Check-out is at 11 am. All rates are for 2 guests. 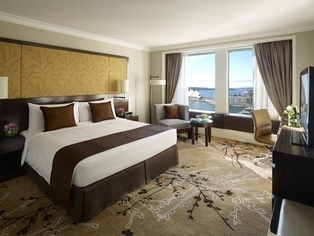 3 guests are permitted in Deluxe Grand Harbour room at an extra charge of $95 per night. Children under 12 years old stay for free. Overnight valet parking is available at the hotel at a cost of $58. 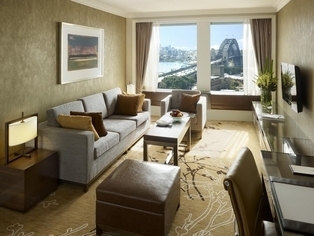 -The Shangri-La Hotel, Sydney is located in the historic Rocks district and is close to Sydney's numerous transit options, including rail, bus, and ferries which all lie within a short walk from the hotel. -Limousine transfers from and to the airport to the hotel and vice versa are available upon booking with our Concierge, rates depend on the type of vehicle. 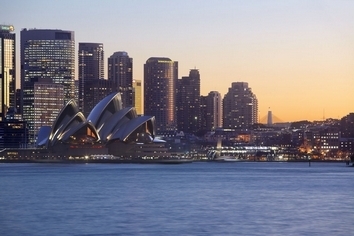 Sydney is one of the world's most beloved cities. 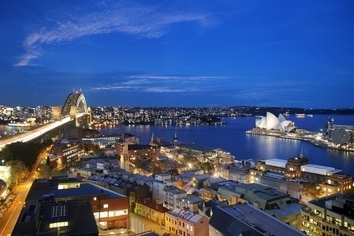 With near-perfect weather, this harbour city is a playground for people who like to mix culture with recreation. 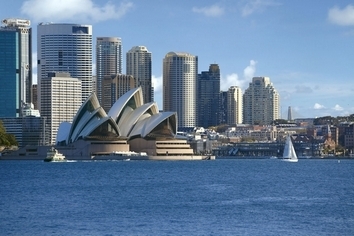 From the instantly recognisable Sydney Opera House, to the Pacific waves washing upon sparkling city beaches, Sydney combines international flair with a uniquely Australian approach to enjoying life.